Hard costs include material and labor during construction such as foundation, framing, drywall, flooring, heating, ventilation, and air conditioning (HVAC), plumbing, and other site work. Soft costs of construction include services and fees such as permitting fees, land and environmental surveys, insurance, architect or engineering fees, lawyer fees, and bank fees. The interest reserve is the amount set aside to pay for interest on debt financing for the extent of the construction loan. Other contingency and retainage costs may also be set aside. Interest expenses during construction may arise from senior debt, mezzanine debt, or preferred equity. The real estate industry is famous for being a networking-intensive industry, word of mouth being a common source of distributing timely information. Real estate deals are most likely to be sourced through networking than from formal channels. Sources for available sites might include real estate professionals such as brokers, local bankers, attorneys, accountants, architects, engineers, and property management companies. The visual inspection of an area or letters to owners, as well as secondary resources such as newspapers, trade magazines, foreclosure reports, planning and zoning departments, or real estate property tax services may also provide available sites. When an owner does not pay property taxes, water bills, and other charges, these unpaid charges become tax liens that may be sold in a tax lien sale, recorded by the Department of Finance Lien Sale Task Force. Recording of tax liens on a property often signal foreclosure and can be a source for site acquisitions. Other websites such as Property Shark (free on-site to Baruch students), State UCC Lien Filings (available through the LexisNexis database), New York Foreclosures and Tax Lien Sales Directory, and LoopNet (commercial real estate foreclosures), also provide foreclosed and bank-owned properties. Developers may also choose to submit competitive bids in Request for Proposals from the New York City Housing Preservation Department. The city awards publicly owned land to private developers, evaluated based on a variety of factors, including affordability. For privately-owned sites, developers can apply for city low-interest rate loans, tax credits, and other incentives in exchange for affordable housing. HPD works with developers to utilize city, state, and federal subsidies to finance affordable units, including single, multi-family, senior, and supportive housing. High-quality research resources can be found on company websites of public and private companies. Some of the most commonly used and accessible sources include the research of the major brokerage and services firms such as CB Richard Ellis, Jones Lang LaSalle, and Cushman and Wakefield. Brokerage firms are a great source of information for land acquisition costs. When researching comparable sites, locational factors to consider include similar growth, demand, distance from transit and important attractions, and quality of the surrounding developments. Parcel considerations include parking, green space, density, FAR and layout, setbacks, access, required site amenities, and past and current uses. Building characteristics include the slope of the land, the shape and efficiency of layout, visibility and access to consumers, traffic patterns, ingress and egress, curb and median cuts, and the availability of utilities to the building. Environmental factors include on-site contamination, wetlands or flood plains, waterways, air pollution, and storm water management. Political factors to consider include re-zoning efforts, environmental and conservation groups, neighborhood opposition, historic and archeological sites. Besides the brokerage firm websites such as CB Richard Ellis, Jones Lang LaSalle, Grubb and Ellis, and Cushman and Wakefield, other free internet resources for acquisition costs include real estate listing websites such as Loopnet and Black’s Guide (commercial properties), Realtor.com and Multiple Listing Service (residential properties), and The Wall Street Journal Online – Real Estate and Property Report (commercial and residential properties), free for Baruch students. CoStar (may be available to students on a trial basis) and Property Shark (free for Baruch students to use on-site) are paid websites that provide robust databases of searchable properties by type, location, by market or geography, sold or for sale properties, and space criteria. Hard costs of construction include materials and labor. The Associated General Contractors of America and National Association of Home Builders websites provides free resources for tracking construction economic information. McGraw Hill Construction and Reed Construction Data are paid websites that provide construction data, including construction starts, plans, building product information, bid data, and cost indices. Vendor websites and quotes are also a good way of searching for products at MSRP price points. Using article databases through the Baruch Library is a way of accessing real estate publications without purchasing the reports. Note: Harvard Business Review reports do not sell subscriptions through colleges and universities, so HBR case studies and reports are not accessible through the Baruch Library system; however, publications are priced relatively inexpensive at around $8.95 per publication. Each database has its own distinct features, special topics, publications, search capabilities, date ranges, and formats. Factiva offers construction publications with hard cost information through Engineering News Record, Professional Builder, and SinoCast Construction & Real Estate Beat. Soft costs of construction include fees and services. Douglas Elliman, a New York City brokerage firm provides a guide to New York City Closing Costs, detailing the closing costs by associated with purchasing a cooperative, condominium, or townhouse in the New York City region. Accurate quotes can be procured directly from the appraiser, lawyer, or real estate agent. New York City Department of Buildings provides a breakdown of information and fees by permit type. New York City Open Data also provides data sets compiled by New York City agencies by category, such as business and housing. In the days of the sharing economy, open forums on websites such as StreetEasy or Brownstoner, or Angie’s list (which requires a paid subscription) may also provide an initial search for real estate professionals or cost inquiries, though the quality of the data may be not be verified or reliable. New York City Department of Buildings provides a list of registered professionals on their ‘Know Your Construction Professional’ page. New York City has a complex construction process which involves various city agencies, resulting in soft costs in services and fees. Building construction in New York City requires knowledge of urban planning, permitting, zoning and re-zoning efforts, tax blocks and lots, and unique environmental, architectural, and engineering challenges. The City of New York has many online resources and tools that developers and investors can utilize with data specific to the New York City market. The New York City Department of Buildings Building Information Search is an online query system with general information on properties in the city including recorded complaints, violations, actions, applications, and inspections. You can also search for information about skilled / licensed tradespeople and general contractors registered with the Department of Buildings. The Department of Buildings Metrics & Reports page, publishes self-reported data in monthly and weekly statistical reports containing job filing information for new buildings, alterations, permit issuance, signs, complaints, and dispositions. Reports include: weekly construction applications, statistical reports on jobs, permits, and signs, complaint disposition reports, archived metrics and reports, construction-related accident reports, cellular antenna reports, and Mayor’s Management reports. The New York City Department of Finance provides information on properties, property taxes, property records (ACRIS), and property tax maps. The Property Division maintains the official tax maps of New York City and collects real property transfer and mortgage recording taxes. The City Register records and maintains all real estate documents including deeds, mortgages, leases. The Automated City Register Information System (ACRIS) allows you to search property records and view document images by property borough, block, and lot, or address for the boroughs of Manhattan, Queens, Bronx, and Brooklyn (1966 to present). Staten Island is an exception, where the Office of the Country Clerk keeps these records. Online tools include Property Benefit Lookup and Digital Tax Map. The Property Benefit Lookup page or Property Portal, allows you to search for property tax benefits by address or borough, block, and lot. The Benefits for Property Construction webpage provides general information on exemptions and abatements, detailed at, and includes: 421a and 421b tax exemptions on new multiple dwellings and new construction or substantial rehabilitation of owner-occupied one-and two-family homes, the Commercial Expansion Program (CEP), Commercial Rent Tax (CRT) Special Reduction, Commercial Revitalization Program (CRP), Division of Alternative Management Program (DAMP), Green Roof Tax Abatement, Industrial and Commercial Abatement Program (ICAP), Industrial and Commercial Incentive Program (ICIP), J-51 tax exemption an abatement for residential rehabilitation or conversion to multiple dwellings, Payment in Lieu of Taxes (PILOT) agreements, Solar Electric Generating Systems tax abatement, and the Urban Development Action Area Program (UDAAP). 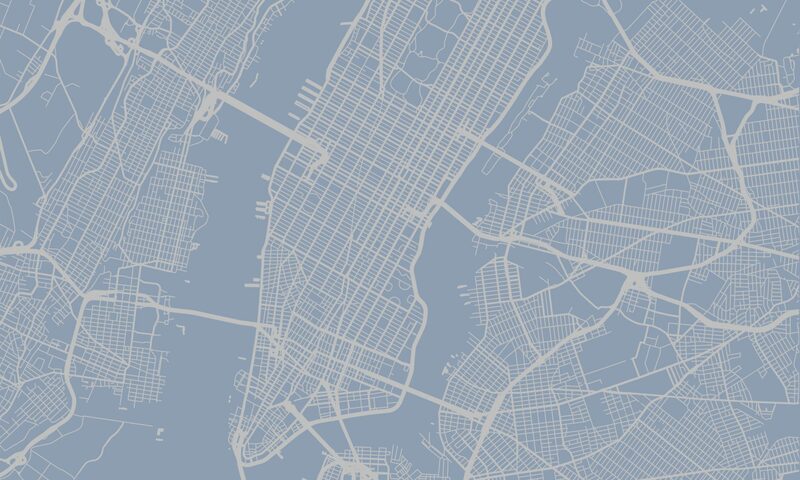 The Digital Tax Map, maintained by the Tax Map Office, shows lot lines, block and lot numbers, street names, lot dimensions and easements for the City of New York. With the Digital Tax Map, you can search current and past tax maps, as well as the history of tax map changes. The Department of City Planning is the New York City zoning and land use agency charged with designing a physical and socioeconomic framework to foster the growth and development of the City. Blending the social and natural sciences, urban planning, and design concepts, The Department of City Planning aims to create frameworks for sustainable, economic development of communities by strategic planning of adequate and appropriate resources for its population to include housing, business, industry, transportation, distribution, recreation, culture, comfort, convenience, health, and welfare. The Department of City Planning has a wide array of resources and maps including plans and studies displaying maps of city projects, zoning maps with historical, current, and proposed zoning, a community portal showing the 59 community districts, a ‘NYC Population’ section containing historical and demographic, socioeconomic, and housing maps. Established in 1978, the New York City Department of Housing Preservation and Development (HPD) is the largest municipal housing preservation and development agency in the nation. The agency’s mission is to promote the construction and preservation of affordable, high quality housing for low- and moderate-income families in thriving and diverse neighborhoods in every borough by enforcing housing quality standards, financing affordable housing development and preservation, and ensuring sound management of the City’s affordable housing stock. NYC Open Data is a new initiative to increase accessibility, transparency, and accountability of New York City government. Its catalog of open databases provides a wealth of public data sources by a variety of New York City agencies and other City organizations. Data is presented by category, city agency, or city organization and anyone can use the open data sets to conduct research and analysis or create applications. Descriptions of the data, collection method, and metadata are provided for easier use. The OASIS (Open Accessible Space Information System) website provides a free and rich resource of interactive community maps for New York City, containing overlays of property information, zoning and land use, transportation networks, park, playground, and open spaces, population characteristics, environmental characteristics, water, wetlands, and food systems. The Baruch College Library provides access to many databases, free to students. Baruch’s librarians have created Research Guides as a reference for general business topics such as ratio and industry analyses, venture capital, and mergers and acquisitions. Several databases cover topics on companies and competitors. Mergent Online / Mergent Horizon offers public company profiles with links to business relationships including customers, suppliers, partners, and competitors. S&P NetAdvantage offers provides current and past stock prices, annual reports and SEC filings for publicly-traded companies, industry surveys, analyst reports, and US and international market information data. PrivCo is a source for business and financial data on major, non-publicly traded corporations, including family-owned, private equity-owned, venture-backed, and international unlisted companies. Industry and market databases include IBISWorld, S&P NetAdvantage, Passport GMID (Euromonitor), and BMI Research. IBISWorld provides industry analysis for over 700 U.S. industries and hundreds of global industry reports. Passport GMID (Euromonitor) provides data and analysis on consumers and markets covering hundreds of industries in over 200 countries, all U.S. states, and 1,150 global cities. BMI Research provides industry profiles, country risk analysis, financial market reports, and company profiles with SWOT analysis, covering 22 industry sectors in 70 global markets. Technology and e-commerce sectors are covered in eMarketer and Gartner. eMarketer aggregates marketing research related to online marketing and e-commerce, and Gartner provides analysis of IT markets for hardware, software, IT services, semiconductors, and communications, as well as reporting on IT issues in 10 industries including education, banking, retail, healthcare, and manufacturing. For access to news and periodicals, Business Source Complete and ABI/Inform provide full text access to scholarly publications, business journals, magazine, newspapers, and trade publications. Factiva provides access to global news, business, financial information from newspapers, magazines, newswires, and trade journals, including information on companies, industries, and financial profiles. Baruch’s Trading Floor is home to Bloomberg Professional, which provides up-to-date information, historical data, analytics, news, and financial asset data, including equities, FX, money, fixed income, commodities, and energy. The FactSet database provides current and historical global financial analytics for over 70,000 public and private companies worldwide, and monitors global markets with real-time data on over 5,000 equity, fixed income, and commodity indices. Most of Baruch’s library databases can be accessed remotely using your Baruch Library login credentials; Trading Floor resources must be accessed on-site. Websites such as Bloomberg.com, Deal Pipeline, Real Capital Analytics, and Thomson One Banker provide information on equity and debt markets such as interest rates, availability of capital, and deal flow, though some resources do not offer free access, such as Real Capital Analytics. Bloomberg Terminals are available to students via Baruch’s Trading Floor. The credit rating agencies, Moody’s, Standard & Poor’s, and Fitch provide credit ratings for financial institutions, insurance, structured finance, and managed funds. Statistics and analytics for the commercial mortgage-back securities market can be found CMBS.com, Realpoint, and Trepp. IFR Briefings is a good resource for debt and equity research in international capital markets. Real estate professional organizations such as CCIM (Certified Commercial Investment Member) Institute, Mortgage Bankers Association, National Council of Real Estate Investment Fiduciaries, Pension Real Estate Association, Urban Land Institute may also provide reports such including capital markets analyses such as ULI’s Emerging Trends in Real Estate and PREA Quarterly magazine. Brokerage and advisory firms research reports, often accessible for free, also often contain research including capital markets data and reports. Articles and journals accessible through Baruch’s database regarding topics on capital markets and real estate finance include the Journal of Real Estate Finance and Economics, Real Estate Finance, Real Estate Finance and Investment, Private Equity Real Estate, and National Mortgage News. As the operator of a commercial property, there are expenses that should be properly accounted for in your operating pro forma. In the “setup” (see below), these operating expenses, or, “OpEx,” are subtracted from the Effective Gross Revenue (EGR), which then equals the net operating income (NOI). Operating expenses vary depending on the market. According to Property Metrics, operating expenses include all of the cash expenditures required to operate the property, and command market rents. Common commercial property operating expenses will include real estate and property taxes, insurance, management fees (on or off-site), repairs and maintenance, and other miscellaneous expenses (accounting, legal, etc.). Information on operating expenses by market can be accessed in reports provided by brokerage firms. CBRE and other large brokers publish market reports with average per square foot (PSF) operating expenses for retail and office properties; however, the best gauge of operating expenses is research of comparable properties. Depending on the terms of the leases at the property, operating expenses can often be “passed through” to tenants. A triple-net lease (denoted as “NNN”) allows an owner to “pass-through” a portion of the operating expenses to the tenant, whereas other types of net leases only allow for certain expenses to be “passed-through” to the tenant. This means that although the landlord’s entity will pay the operating expenses, it is the tenant who is left with the obligation to reimburse the landlord. Real estate taxes are especially important for an owner of commercial property when one considers their magnitude and implications. To verify real estate taxes for a property in New York City, one can access a building’s tax assessment and tax bills online via the NYC Department of Finance. It should be noted that the formula with which a property is assessed differs depending on the municipality. Without a clear understanding of the real estate taxes, the performance of the asset can be severely affected. Information on tax rates for New York City can also be found online via the NYC Department of Finance. Administrative expenses often referred to as “general & administrative expenses,” or “G&A,” is defined as “expenditures related to the day-to-day operations of a business.” The role of an admin consists of book keeping and other administrative and organizational duties (i.e. paying bills). Depending on the size and the scale of an owner’s commercial real estate portfolio, the admin duties will often be handled by ownership directly. Regardless of who completes the work, there is a degree of labor that goes into the administration at a commercial property, thus making it an appropriate expense to account for. Leases will often define the operating expenses for which an administrative fee is applicable, and limit the percentage of the expense allowed to be charged as the fee (usually up to 10 percent). Management fees are the operating expenses attributed to the expense of a property manager. Property owners usually hire property managers when they are unwilling or unable to manage the properties themselves. Multifamily buildings commonly use property managers. The responsibilities of this role range from supervising and coordinating maintenance and other work, light handyman duties, cleaning, and resolving tenant concerns and complaints. The management fee will usually be defined in leases and is often determined based on a percentage (usually ranging from 3-5 percent) of effective gross revenue. To realize the maximum return on investment on a property, one must have effective property management. Some benchmarks that indicate that property management is effective includes whether the property is 90 to 100 percent leased, the tenant’s needs are paramount in the manager’s mind, rents are collected on time, bills are paid in a timely fashion, ongoing preventative maintenance is taking place, the systems are operating efficiently with the forecasted budget, and the cash flow from the property is meeting or exceeding the expectations of the pro forma. Insurance expenses at a property vary based on a number of factors. If the property is part of a portfolio under an umbrella insurance policy, the cost of insurance at the individual building is likely to be lower than a building under a single insurance policy. Different insurance options are available, but an owner should check with the municipality to see what law requires. Landlord’s insurance will often consist of several types of policies covering different risks, including but not limited to: permanent coverage, liability, rent loss, and riders. Liability insurance covers the loss involved from any accidents that occur on the property. Usually, this coverage will pay for any legal fees associated with lawsuits against the property, the owner, and the property manager. Rent loss insurance covers the loss of rental income for a period during which the property is under reconstruction due to fire or weather. The premium for rent loss insurance is based on the time period in which the rent loss will occur. Additional riders offered as part of many insurance policies to cover areas not covered in the general policy. Some common riders include: flood, glass breakage, earthquake, boiler, and employee theft. One should carefully analyze the deductibility of each type of coverage. The lower the deductible, the higher the annual premium will be. The amount of deductible is a function of ownership’s budget and tolerance for risk. The best pricing available is found with insurance agents who are constantly shopping the market for the best rates. Additionally, the amount of insurance already in place and the amount of claims in the past may affect the price of insurance. Insurance is an expense where a hands-on owner or property manager can find value in a property should they be able to find a better rate than previous ownership. It is important to differentiate between repairs and maintenance, which is an operating expense, and capital expenses, which usually appear “below the line” in the setup, meaning that it is subtracted from the NOI, and don’t adversely affect the direct capitalization value of the property. Maintenance costs are operating expenses for maintenance that is considered routine to keep the building asset’s condition status quo. Capital expenditures and improvements are investments in your property that increase the value of the asset. Capital expenditures will often be financed, and sometimes leases allow for the pass-through of the amortization of the expenses to tenants, as if it were an operating expense. Repairs and maintenance are more likely to come directly out of the owner’s pocket and adversely affects the net operating income. As briefly discussed above, capital expenditures are improvements to the property that increases its value. The value is increased through increasing the NOI. Improvements to the property will allow an owner or property manager to command market rents. It is crucial that a real estate investor properly plan for capital expenditures that will need to take place in the future. A property owner who does this efficiently is at a strategic advantage over competitors. Often times, these capital expenses will be funded with a loan, as they frequently exceed the before tax cash flow generated by the property. Financing and the capital markets is another crucial element of real estate ownership that owners must have a thorough understanding of. Through the use of leverage, owners can increase their annual cash on cash return. Investors who properly use leverage and plan for the future are always at an advantage over those who do not. Mortgage interest rates are a function of the 10-year treasury yield. If the bond yield rises, the mortgage rises as well, and the inverse is the same. Most mortgages are calculated in a 30-year time frame; however, after ten years mortgages are often paid off or refinanced for a new rate. The lender is assuming risk when the issue a mortgage, due to the possibility that the customer may default on the loan. When there is a higher perceived risk of default, the higher the interest rate, and the less favorable the terms for the borrower. A higher interest rate ensures that the lander recoups his investment faster. Banks, financial institutions, and private lenders offer commercial mortgages, and information regarding available terms can be easily accessed through consulting with a local mortgage broker. Lenders will also require a borrower using a property as collateral to reach a certain threshold of income that meets their “debt service coverage ratio (DSCR)” to qualify them for a loan. This is determined by taking the ratio of net operating income to annual debt service. Mortgages are usually amortized over the period of the loan, unless the loan is “interest only.” In this case, there is no pay down of the principal, and monthly interest is paid to the lender. Amortized mortgages are paid down over the course of the loan until it is completely paid off. The longer the amortization period, the lower your monthly payments will be. This results in a more favorable mortgage for the borrower. The depreciation of commercial property can be used to reduce an owner’s taxable income. The IRS expects depreciation to be calculated from the sale of an investment property in order to increase the amount of taxable gains you had on the property. It is in the owner’s best interest to take advantage of depreciation during ownership. Depreciation can be taken from the building and any additional capital investments made at the property. Some of examples of what can be depreciated besides the actual building itself include: appliances including refrigerators, washing machines, dishwasher, and stoves, furnaces, capital improvements such a remodeling of a kitchen or bathroom, new windows, roof replacement, leasehold improvements such as electrical system overhauls or septic systems, landscaping improvements, legal fees (if carved out separately from the original purchase amount), and equipment used to maintain the property, such as landscaping or cleaning equipment. There are several types of residential leased-land properties, and the most common type varies by region. When you purchase a property on leased land, you will take out a mortgage on the property as usual. The mortgage will be lower because it is only on the improvements, and not the land; however, you will have to pay the lease on the land every month as well. While it is possible to buy a commercial property on a land-lease, as the lease reaches its expiration the property will be difficult to sell, and this poses a sizable risk. What are Comparables and who uses them? According to the Cambridge English dictionary, comparables (otherwise known as comps) are defined as things that you know the value of, especially buildings, that can be used as a comparison in order to calculate the value of something that you want to buy or sell. Generally, comparables is used as a real estate appraisal term, referring to recently sold assets that have similar characteristics to the target property. While comparables usually are used to the find value of an asset (sales comparables), they may be used to find out expected rent/lease rates, expenses/expenditures, other income, vacancies, cap rates, financials, growth rates, and relativity to the competition (amenities, offerings, financials, etc.). In the following, we separate these uses of comparables into sales comparables (to find value) and “other” comparables (to find other factors). Conceptually, the best comparable for a target property would be its next door neighbor with the same use, physical attributes, features, and amenities and was sold today with fair market conditions and market financing terms. Real estate agents and brokers use sales comparables to find values and rents for clients who are looking to sell, buy, rent, or rent out a property. Generally, they will conduct a Comparative Market Analysis (CMA) to examine the prices of similar properties to determine a plausible price for the target property of their client. Redfin, a real estate brokerage firm, defines CMA as evaluation of similar, recently sold homes that are near a home intended to be bought or sold in order to establish the current market value of the home (www.redfin.com). Appraisers typically use 3 traditional methods or approaches of valuing property: the sales comparison approach, the cost approach, and the income approach (further divided into income capitalization and/or discounted cash flow analysis). Appraisers will often use the sales comparison approach to value smaller, non-income producing properties with the use of sales comparables. Appraisers can work for a number of different entities who are searching for value such as government agencies, banks, private individuals, firms, etc. Investors and developers will also use sales comparables to find the value of a property, but also may use “other” comparables (that may not be recent sales) to find out some of the various factors listed in the previous paragraph (rents, expenses, cap rates, RE taxes, etc) to create an accurate financial analysis. How do we choose and use comparables? When choosing the best sales comparable properties, the closer and more similar the comparables to your property, the more accurate your projections will be. Real estate is considered unique with no two properties being identical because of location. As can be seen on any of the listing websites mentioned in the next section, property values can change significantly over a couple blocks of distance and within the same neighborhood. Therefore, the closer the sales comparable property with respect to location, the more accurate it will be. It is also important that the comparables be similar in property type and use, as a different type or use can produce greatly different property values and other comparable factors such as rents, expenses, cap rates, etc. Sales comparables should be recent sales, rather than listings, since you don’t know what these listings will ultimately sell for. According to the graph in “American House Prices: Reality Check” in the Economist, we can see values rapidly changing over time. Generally, the trend in property values is upward sloping, but we can observe some sharp dips in economic downturns. Therefore, the more recent the sale of the comparable, the more accurate the data will be due to changing values over time. After finding the closest comparables, an adjustment must be made to the price for amenities, features, and physical attributes. Some of these factors include quality, condition, size (lot/building/rooms, age, views, # of bathrooms/bedrooms, backyard (pool) etc. Another method, used more in the commercial real estate field, is to find the cap rate the comparable properties have sold at and adjusting it to better fit your property. Then you will use this cap rate to find the value of your property using the income capitalization approach (NOI/cap rate=value). Some of the sources and websites listed below will have features to generate comparables and may have software to adjust and estimate the value for you! When choosing the best “other” comparable properties, you will want to follow the same rules and guidelines mentioned above for sales comparables. The main difference is these do not require the comparable to be a recent sale, but a close comparable operating property. Typically, the best comparanles can be properties on the same block that are similar and operating in a similar fashion. You will want to know the most recent data possible of the property because of changing factors over time. Similar adjustments should be made to these other factors such as rents, expenses/expenditures, cap rates, etc. for differences in amenities, features, and physical attributes (size, etc.). When searching for and using comparables, the researcher should be aware of some potential caveats that may alter the accuracy of your projections. First, you should always consider the source you are gathering data from and whether they have specific interests, capabilities, and bias. For example, Real Capital Analytics is in the “business of selling objective information for a wide variety of uses” (HBS, A Note). Free research reports may give useful data, but may be used as a marketing material. Also, the researcher should always check for footnotes or other explanations of the sources methodology in gathering and analyzing data (HBS, A Note). The researcher should always think about the reliability and accuracy of the information given. As a real estate broker, I have seen countless mistakes on the Multiple Listing Service and other listing websites such as wrong square feet, # of rooms, etc. We suggest using multiple of the sources below to access a wider range of data and increasing the accuracy of your projections. Researching comparables is a lot different than researching most other topics in this book due to the amount of analysis that must be done or the involvement of a real estate professional such as a real estate agent/broker or appraiser. Nevertheless, there are various ways to research and find the best comparable properties to your property. An older method of finding comparables would be to go to your local County Clerk’s office or record room and get data on recent sales. Fortunately, there are easier and less time-consuming methods. For the amateur, student, or investor/developer, there are many free websites where you can easily look up recently sold and listed properties. On these websites you will be able to search by specific categories or criteria such as neighborhood, property type, size, etc. Some residential, New York centralized (listings) websites include www.Zillow.com, www.trulia.com, www.streeteasy.com, www.redfin.com, and www.realtor.com. Each of these have their own “recently sold” tab that can be explored, but much analysis must be done to find the best comparables and to adjust them to an accurate value. The National Association of Real Estate’s website (www.nar.realtor) is another great resource for looking at recent sales data. Once a month (around the 25th of each month), the NAR Public Affairs office releases the latest existing home sales data along with an analysis by NAR’s Chief Economist, Lawrence Yun. For the commercial side, www.loopnet.com can be used to view recent sales and actually has its own sales comp tab that will generate comps for you, but to get full access, a subscription is required. Another subscription website that can provide more then recent sales is www.propertyshark.com. It also has its own comparables tab and will generate a value for you along with detailed property data reports. Other subscription websites for commercial comparables include www.costar.com and www.rcaralytics.com. The core product offerings of these sites include detailed current and historical information on commercial properties, as well as market activity and forecasts (HBS, A Note). Another pay for property valuation site is www.realquest.com which contains data on nearby and comparable sales, detailed property reports, and more. Students may be able to gain free trial access to some of these websites and data sources and should look up these possibilities. Also, individual brokerage and sevice firm’s websites (such as Cushman and Wakefield, Jones Land Lasalle, CB Richard Ellis, etc.) are great sources for recent sales, property reports, and other real estate data. Smaller, local brokerage and service firm’s websites may also have data on recent sales and property reports, but may be limited to only deals they were involved with. Another way to research sales comparables is to ask a local real estate agent/broker to put together some comparables and a Comparative Market Analysis (CMA). As this takes time, a real estate agent/broker will not want to do this for free and may require a serious buyer/seller/investor (where a commission may be made) or a small fee for their work. If you are able to use their services, a more accurate projection may be made due to their knowledge, expertise, and ability to use certain websites or software that the general public does not have the right to use. A major example of this is www.mls.com or the Multiple Listing Service which not only contains a database of listed, pending sales, and sold properties, but aids the agent/broker in completing a detailed CMA. If you are a Baruch student, you have access to various databases and sources through the William and Anita Newman Library. Free access is available to www.propertyshark.com and www.realquest.com by asking for login information at the reference desk and may only be used on-site, in the Baruch Library. Other great databases offered include Factiva, Business Source Complete, ABI/INFORM Global, etc. which all include real estate news and financial information taken from various articles, magazines, trade journals, newspapers and scholarly journals. Also, do not shy away from asking the librarian for additional sources or databases that may fit what you are looking for. Earlier in this book we went through methods for researching various factors such as rents, expenses/expenditures, other income, vacancies, financials, growth and cap rates, relativity to the competition, etc. Finding other comparable properties is just one method of researching and projecting these factors, but is a common and powerful tool. As mentioned earlier, any similar operating property (not necessarily recently sold) can be a great comparable for your property as long as you can obtain recent data. Just as with sales comparables, there are plenty of websites to check for comparable operating properties and data on these factors. Most of the free listing websites mentioned in the previous section can be useful in identifying other comparable properties, but typically do not have much data or information on specific properties financials and rates. Along with the features mentioned in the previous section, www.propertyshark.com (residential and commercial) has a huge real estate data source that contains data on sales history, specific property characteristics, detailed property data reports, and more. Also, www.costar.com and www.rcaralytics.com give commercial comparables reports and track and provide valuable data on cap rates, costs per square foot, competitive properties, rent/lease rates, and more. www.realquest.com and www.loopnet.com are other sites that provide specific property data and property reports on a given property. The websites mentioned above require a subscription, but a free trial may be available for students and should be looked into. Major real estate brokerage and service firms such as CB Richard Ellis, Jones Land Lasalle, Cushman and Wakefield, etc. are some of the most commonly used and accessible real estate sources. These firms create and offer regular reports tracking rental rates, vacancy, absorption, and transaction activity for different product types in various markets across the world (HBS, A Note). Usually there is a research tab that will provide these free reports and data. Since a recent sale is not a requirement for these types of comparable properties, it can be best to look at a similar operating property on the same block or around the block from your chosen property. Word of mouth and conducting interviews can be a prime way to gather more information than what can be found on the websites and sources listed above. The property owner would be the best person to interview and ask questions since they will have the most knowledge on the property, but they do not always want to give up all their information as you may be a potential competitor. The property owner may be willing to share rent/lease rates, what cap rate he bought the property at, expenses/ expense ratio, maintenance and capital expenditures, costs per square foot, etc. A call as a perspective tenant can get you some information on rents (and any concessions or offers), vacancy, and turnover. Interviews with tenants can easily get you data on rent/lease rates and amenities offered, as well as how the property is operated. Interviews with the property manager or the property management company can also reveal specific information on the property such as vacancy rates, turnover, rent/lease rates, maintenance/expenses/expenditures, etc. Also, your local real estate agent/broker may have some property specific information and other useful data that may be worth the time to call and ask. As mentioned in the previous section, if you are a Baruch College student, you will have free access to various databases and websites. Free access is given to www.propertyshark.com and www.realquest.com when using them within in Baruch Library. Free access is also granted to other databases such as Factiva, Business Source Complete, ABI/INFORM Global, etc. which include real estate news, articles, financial information, etc. Do not be afraid to ask the librarian for additional sources or databases that may have the information you are looking for.